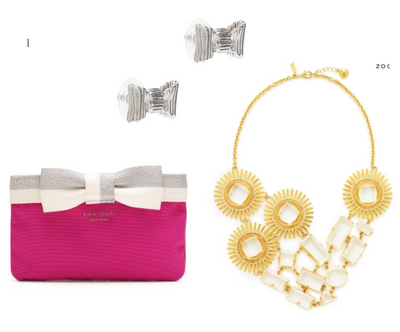 Nothing perks a Wednesday up more than finding updated lovelies on the Kate Spade website! I know I talk about her a lot. But its hard to not be taken with the strong, decisive and clever Kate Spade brand. Sidenote - That book think on the left is a CLUTCH! My sister is one of those people who looks cute all the time. I'm talkin' jeans and a fleece and she looks adorable. If I had to guess, her staple outfit would be a simple tank, dark jeans, wedges/heels and a piece of loud statement jewelry. Like this necklace. Always a winner! I got excited when I saw this vase cost only $25. Then I realized it was 3.5 inches tall. Maybe not the best bang for your buck, but cute! As is that cake plate. 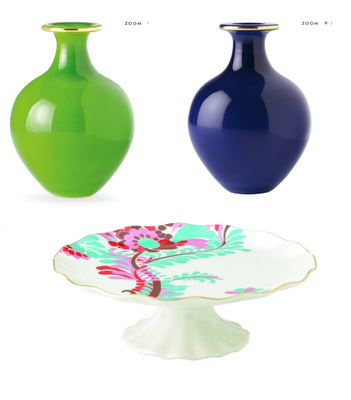 If I were ever to start a collection, it might be cake plates. Just in case you were interested.